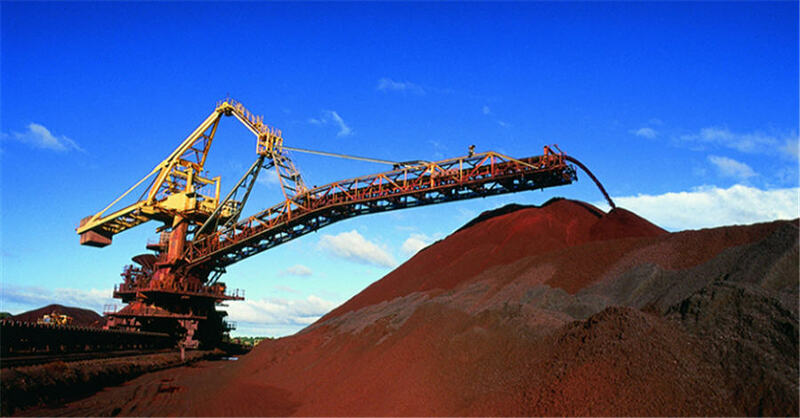 Iron ore prices in China reached a record high on Tuesday as market participants wrestled two dilemmas, namely the likely temporary weather-related disruptions from Australia and the rather more serious safety outages in Brazil. A major tropical cyclone hitting the main producing and shipping areas in the world's largest iron ore miner was always likely to boost prices, and indeed, markets largely responded as expected. Spot 62-percent iron ore for delivery to China, as assessed by Argus Media, was at $88.50 a tonne on Monday, close to the two-year peak of $90.75 reached on Feb. 11, shortly after the fatal tailings dam collapse at a mine operated by Brazil's Vale SA. Tropical Cyclone Veronica will knock about 6 million to 8 million tonnes out of BHP Group's production in Western Australia state, the world's third-largest iron ore miner said on Tuesday. This represents about 2.8 percent of the company's 2018 production, and it was a similar story at Rio Tinto, with Australia's top iron ore producer saying it expected to lose about 14 million tonnes of output, or about 4 percent of its 2018 total. The impact of the storm could be seen in Australia's iron ore shipments in March, which dropped to a three-year low of 57.5 million tonnes, according to vessel-tracking and port data compiled by Refinitiv. February exports were 68 million tonnes. The loss of these exports came just at a time when the market was having to reassess the longer-term impact of Vale's safety issues. The latest safety concerns came after the world's largest iron ore miner said last week it expects to sell 75 million tonnes less than planned this year following the dam burst and heightened security concerns over its tailing ponds. While it's possible that Australia's major producers could ramp up production over the rest of 2019 and recover some of the lost tonnes, the reality facing iron ore consumers is that the market is going to be tighter than they expected, and probably for longer than they expected. "It will become effectively an entity controlled by the state that uses the cash generated to fund claims against it," the executive said. That may perhaps be an overly harsh assessment, but the deeper point is that Vale's safety issues and its role in the community are likely to become much more of a focus for the Brazilian miner. This means the supply gap in iron ore will have to be met by other producers, but it may be the case that this can't be ramped up quickly. South Africa, the world's third-largest supplier to the seaborne iron ore market, boosted exports in March to 5.2 million tonnes from 4.9 million in February and 5 million in January, but this is a relative spit in the bucket. India's exports also almost doubled in March, but only to 1.3 million tonnes, while Iran is still a marginal player in the seaborne market. The best hope for additional iron ore supply for China lies in the still high inventories at ports, with 147.6 million tonnes reported as of the end of last week.